I was fortunate to take part in a cookery competition called Kitchen Khiladi hosted by Cancer Institute Foundation in the bay area. Though I did not bag any prize, it was such a pleasure creating new recipes and cooking in front of audience and judges. It was a wonderful experience and I want to participate every year. 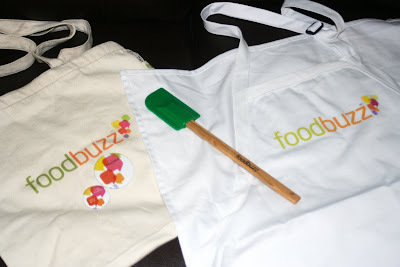 It was such a good exposure for me and I got to see and taste a lot of wonderful recipes by other participants. The recipes of all dishes by the finalists can be found in the CIF website. For the first round I prepared Sweet potato payasam. I will be posting the recipe soon. For the final round we were asked to prepare a dish with either cauliflower or broccoli or brussels sprouts. I created a new dish called oats adai with cauliflower and broccoli. We presented oats adai in three plates with tomato chutney, yogurt and jaggery in each plate. We also prepared freshly sqeezed orange juice. Here is the reipe. Q: What is Oats adai with cauliflower and broccoli? A: Adai is a thick variety of dosa. I have used rolled oats, rice flour and split yellow moong dal in combination of the star ingredients cauliflower and broccoli. Q: Why did I choose to make Oats adai with cauliflower and broccoli? A: I wanted to create a very healthy south Indian dish that can be prepared very easily. Also, I wanted to preserve the nutrition of the ingredients I use to the fullest extent possible. Q: Why Oats adai with cauliflower and broccoli nutritious? 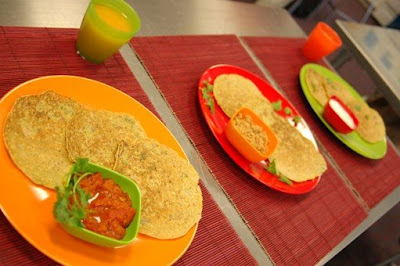 A: Oats adai with cauliflower and broccoli is packed with nutrients. I have used a variety of nutritious ingredients and medicinal spices in this recipe that not only fights cancer but also aids weight loss. If you want to follow a healthy diet and are looking for a very easy breezy, filling dish, then, this is the dish you are looking for. 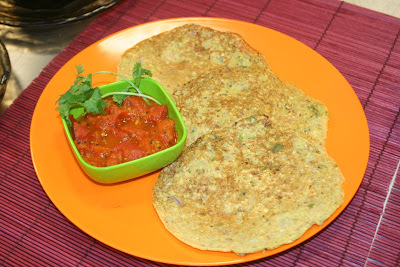 Q: What is special about oats adai with cauliflower and broccoli other than being a healthy dish? A: I have used onion in this recipe which is optional. You can omit onion if you want a ‘NO onion NO garlic dish’ plus, it is a Vegan dish – I have not used any dairy produts in this recipe. Following are the benefits of the ingredients that I have used in Oats adai with cauliflower and broccoli. I have used these cruciferous vegetables which reduces the risk of cancer. It not only fights cancer but also aids for weight loss because they are negative calorie foods. Negative calorie foods require more calories to digest than the actual calories in those foods. That means it aids for natural fat burning. I used orange color cauliflower as it is more nutritious since they contain 25 times more Vitamin A than the regular white cauliflower. I made tomato chutney to go with the oats adai that contains broccoli. The results of a recent research conducted at the Food Science and Human Nutrition at the University of Illinois, indicates that eating tomatoes and broccoli together may offer better protection against cancer than eating either vegetable alone. "Separately, these two foods appear to have enormous cancer-fighting potential. Together, they bring out the best in each other and maximise the cancer-fighting effect," Erdman said. I have used oats which are an excellent source of iron, dietary fiber and thiamin. They also contain antioxidants that are believed to protect the circulatory system. I have used turmeric, a medicinal spice which contains yellow pigments called curcumin that fights cancer. Studies show that our bodies absorbs curcumin a thousand times more when eaten together with pepper. Cumin seeds that aid digestion and rice flour which is a good source of protein, calcium and phosphorus. 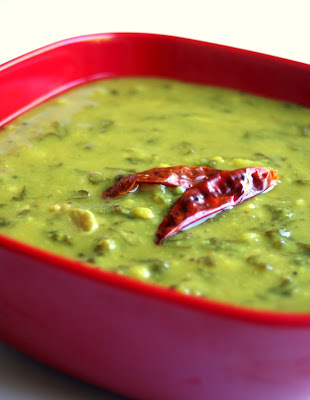 I have used Moong dal which is very rich in protein. I have used maida in least quantity (just quarter cup for 10 adais) as it is not a gluten free food. I have used oil spray (one spray for one adai) for a fat free cooking. Grind the oats and moong dal together and soak it in 1 cup water and keep it aside. Use a mini chopper or a food processor to chop the cauliflower and broccoli finely and keep it aside. Chop the red onions finely. Peel the ginger skin and grate it. Take a large mixing bowl. Add the rice flour and maida. Add a cup of water and whisk well to avoid lumps. Add the soaked oats and moong dal and mix well. Add the chopped vegetables and mix well. Add the cumin seeds, turmeric powder, ground pepper, salt, asafoetida powder and finely chopped red onions and mix well. Heat oil in a small seasoning pan. Take the green chillies out. 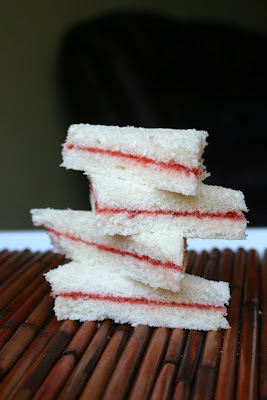 (this is to avoid biting on green chillies while eating). Add the grated ginger to the oil in which green chillies were fried. Add the mustard seeds, when it pops, add the seasoning with oil to the batter and mix well. Mix in finely chopped coriander leaves. Add required amount of water to bring it to adai batter consistency. Mix well and keep it aside. The adai batter is ready. Spray once on the surface. Pour one ladle of the batter in the center and spread it very little, just to make 4 to 5 inch adais. Spray oil on top of the adai and keep partially closed in medium heat. Use a stainless steel sauce pan to cover the adai partially. After a minute see if the adai comes out without sticking to the tawa. Flip the adai and again cook partially covered for a minute. Serve immediately with tomato chutney or plain non fat curd. You should be able to make atleast 10 small adais. This is my entry to four events. 1. Diet foods hosted by Dhivya of Dil se. 2. JFI - whole grains hosted by Suganya of Tasty palettes. 3. WBB - grains in my breakfast hosted by Aparna of My diverse kitchen. 4. Original recipe hosted by Lore of Culinary. Before I present to you the beautiful entries that I received for the sweet series chikki and laddu, I would like to announce the next roundup. 1. Cook anything sweet that come under the category of this month - 'Deep fried or steam cooked sweets' and post the recipe with picture on your blog. The sweet that you are sending must be either deep fried or steam cooked only. Example, boondhi laddu, jangri, jilabi etc for deep fried and kozhukattai, modhaka etc for steam cooked sweets. NOTE: Please do not include deep fried sweets that have a spongy texture like gulab jamun. Though they are deep fried, I want to include them in a separate category in sweet series - sweets with spongy texture. Click here for sweet series categories. 6. Please send an e-mail to sweetseries at paajaka dot com with the following details on or before Oct 10, 2008. Henceforth it will be 10th of every month and not month end to submit your entries. 8. The roundup of sweet series - deep fried / steam cooked sweets (not spongy) will be posted within one week after deadline. Thank you and looking forward to all your enthusiastic participation once again. A big thank you to all my friends who sent in their entries for the sweet series - chikki and laddu. The entries I received this time brought back my childhood memories. Thank you so much for sending in your lovely entries. Here is the roundup of the different chikki and laddus (not deep fried). Please click the image to view in original size. 1. Urad laddu by Yasmeen of Healthnut - Are you eating nature's best? Please let me know if any of your entry is not included in this roundup. Thank you friends and looking forward for your enthusiastic participation once again for sweets that are deepfried or steam cooked.